Siloam Springs, located in Northwest Arkansas, presents a vibrant business environment across a variety of retail, commercial and industrial activity. The residents and workforce of Siloam Springs, Arkansas provide high quality markets for many types of entrepreneurial businesses and industrial concerns. 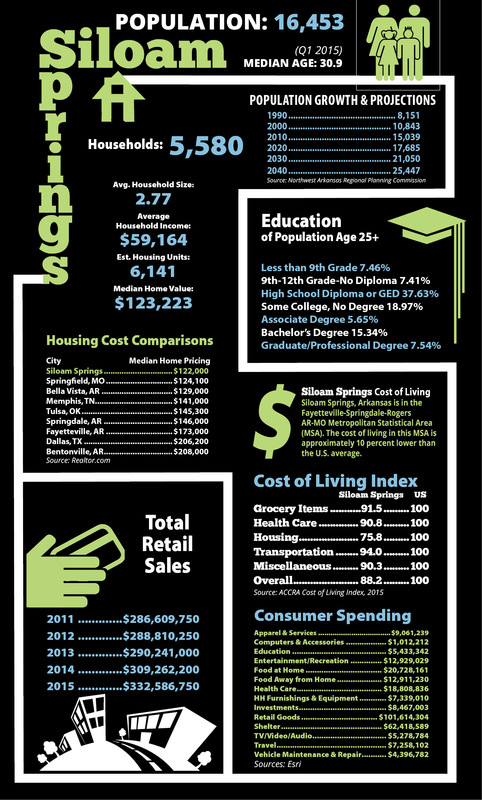 The following snapshot is a look at demographics and statistics within the City of Siloam Springs. Please click here for a demographic and statistical snapshot of the larger Siloam Springs Trade Area.